So Theresa May's snap general election campaign is nearly over and where my forecast conclusion is for the Conservatives to win with 358 seats on a majority of 66. With Labour losing 20 seats falling to 212. 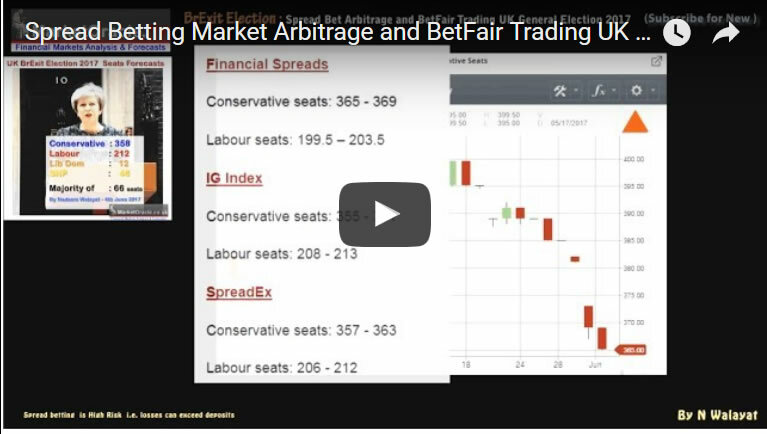 So following my my forecast conclusion my search has been on to identify spread and Betfair exchange betting market opportunities for these last few days and then hours ahead of the election result as I cover in this video analysis.